Saturday, March 21, 2:00 p.m.
Join us for an afternoon of science and fun with Jon Scieszka when he'll tell us about this second book in the Frank Einstein series. Frank Einstein (kid-genius scientist and inventor) and his best friend, Watson, along with Klink (a self-assembled artificial-intelligence entity) and Klank (a mostly self-assembled artificial almost intelligence entity), once again find themselves in competition with T. Edison, their classmate and archrival—this time in the quest to unlock the power behind the science of energy. Frank is working on a revamped version of one of Nikola Tesla’s inventions, the “Electro-Finger,” a device that can tap into energy anywhere and allow all of Midville to live off the grid, with free wireless and solar energy. But this puts Frank in direct conflict with Edison’s quest to control all the power and light in Midville, monopolize its energy resources, and get “rich rich rich.” Time is running out, and only Frank, Watson, Klink, and Klank can stop Edison and his sentient ape, Mr. Chimp! And there will be prizes for the best costumes. Frank Einstein and the Electro-Finger, book two in the series, will hit stores just days before Scieszka's visit. Join us! Jon Scieszka has sold more than 11 million books, including The Stinky Cheese Man and Other Fairly Stupid Tales, The True Story of the 3 Little Pigs, the Time Warp Trio series, Guys Read, Spaceheadz, and most recently, Battle Bunny with Mac Barnett. He lives in Brooklyn, New York. Browse more of Jon Scieszka's books here. Scieszka (the Spaceheadz series) pulls in an array of scientific, cultural, and historical allusions and references Einstein and Frankenstein, sure, but also James Bond, Edison vs. Tesla, the CERN particle collider, and more in this first book in the Frank Einstein series, loosely based around the subject of matter. Not unlike Shelley's Frankenstein, science whiz Frank is trying to animate a robot he's built in his garage lab. Frank doesn't succeed, but in one of the happy accidents that pepper scientific history (ahem, penicillin), Frank inadvertently lays the groundwork for the creation of two "self-assembled artificial-life" entities named Klink and Klank, fashioned from Shop-Vacs, Casio keyboards, and other mechanical detritus. The antimatter motor Frank whips up next for the science fair leads to a confrontation with his nemesis. Biggs's (the Everything Goes books) two-color cartoons and diagrams run the gamut from silly to scientific, and the same holds true of Scieszka's story. In refusing to take itself too seriously, it proves that science can be as fun as it is important and useful. Ages 8 12. Multiple award-winning author Jon Scieszka grew up in Flint, Michigan, the second oldest and the nicest of six boys. Jon went to school at Culver Military Academy in Indiana where he was a Lieutenant; Albion College in Michigan where he studied to be a doctor; and Columbia University in New York, where he received an M.F.A. in fiction. He taught elementary school in New York for ten years in a variety of positions. He is the author of many books for children including the New York Times Best Illustrated Book The Stinky Cheese Man and Other Fairly Stupid Tales (illustrated by Lane Smith), the Caldecott Honor book The True Story of the Three Little Pigs (illustrated by Lane Smith), and Math Curse (illustrated by Lane Smith). In addition to his work as an author, Jon also runs a web-based literacy program called "Guys Read" that is designed to encourage boys, particularly reluctant readers, to get involved with books. In 2008, Jon was named the country's first National Ambassador for Young People's Literature, a joint effort of the Library of Congress and the Children's Book Council. During his two-year role as Ambassador, he acted as a spokesperson for children's literature, speaking to groups of parents, teachers, and children to encourage the importance of reading. The Burlingame Library presents Storytime with MAC BARNETT! The Burlingame Library presents storytime with Mac Barnett, author of Battle Bunny, Count the Monkeys, Extra Yarn, and more! Jon Scieszka Browse his books are here. Visit his website here. Mac Barnett Browse his books here. Visit his website here. Featuring layered, original artwork that emphasizes Alex’s additions, this dynamic exploration of creative storytelling is sure to engage and inspire. Jon Scieszka is the creator of Trucktown, including the New York Times bestselling Smash, Crash!, and the author of The True Story of the 3 Little Pigs!, the Time Warp Trio series, Caldecott Honor Book The Stinky Cheese Man, and many other books that inspire kids to want to read. He has worked as an elementary school teacher and is the founder of GuysRead.com, a literacy initiative for boys. Mac Barnett is the author of the Brixton Brother series and several picture books, including Guess Again! and Chloe and the Lion (both illustrated by Adam Rex), and the New York Times bestseller Extra Yarn. He’s on the board of directors of 826LA, a nonprofit writing center, and founded the Echo Park Time Travel Mart, a convenience store for time travelers. Mac lives in Oakland, California. In order to have anything signed at a BookPeople event, a copy of the event book must be purchased from BookPeople. If you purchase your book from BookPeople in advance of the event, please save your receipt and present it at the event. Thank you for supporting Jon Scieszka, Mac Barnett and your local independent bookstore! Two of the funniest authors out there have combined to create Battle Bunny, part picture book, part do-it-yourself, and all around hilarious! About the Authors: Jon Scieszka is the creator of Trucktown, including the New York Times bestselling Smash, Crash!, and the author of The True Story of the 3 Little Pigs!, the Time Warp Trio series, Caldecott Honor Book The Stinky Cheese Man, and many other books that inspire kids to want to read. He has worked as an elementary school teacher and is the founder of GuysRead.com, a literacy initiative for boys. Mac Barnett is the author of the Brixton Brother series and several picture books, including Guess Again! and Chloe and the Lion (both illustrated by Adam Rex), and the New York Times bestseller Extra Yarn. He’s on the board of directors of 826LA, a nonprofit writing center, and founded the Echo Park Time Travel Mart, a convenience store for time travelers. Mac lives in Oakland, California. Book: Alex has been given a saccharine, sappy, silly-sweet picture book about Birthday Bunny that his grandma found at a garage sale. Alex isn’t interested—until he decides to make the book something he’d actually like to read. So he takes out his pencil, sharpens his creativity, and totally transforms the story! Birthday Bunny becomes Battle Bunny, and the rabbit’s innocent journey through the forest morphs into a supersecret mission to unleash an evil plan—a plan that only Alex can stop. Featuring layered, original artwork that emphasizes Alex’s additions, Battle Bunny is a dynamic exploration of creative storytelling that is sure to engage and inspire. What: Jon Scieszka and Mac Barnett will discuss and sign their new book for kids, Battle Bunny. When: Friday October 25, 5:00 p.m. Where: Blue Willow Bookshop, 14532 Memorial Drive, Houston, TX 77079 Admission: In order to go through the signing line and meet Jon Scieszka and Mac Barnett for book personalization, please purchase Battle Bunny from Blue Willow Bookshop. At the time of your purchase, you will receive a signing line ticket that indicates your place in line. A limited number of autographed copies of Jon and Mac’s books will be available for purchase after the event. If you cannot attend the event, but would like a personalized copy of her book, please call us before the event at (281) 497-8675. 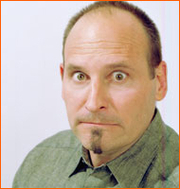 Jon Scieszka is the National Ambassador for Children’s Literature emeritus and the bestselling author of more than twenty-five books for kids, including THE STINKY CHEESE MAN AND OTHER FAIRLY STUPID TALES, MATH CURSE, ROBOT ZOT! and the TIME WARP TRIO series. Jon founded Guys Read to encourage a passion for reading among young boys, with the philosophy that boys love to read most when they are reading things they love. A former elementary school teacher, Jon lives in Brooklyn with his family. What: In conjunction with Inprint’s Cool Brains series, Blue Willow welcomes Jon Scieszka as he discusses his books and his Guys Read program. For more information on the Cool Brains series, please visit Inprint’s website here. When: Sunday, February 24, 3:00 p.m.
A limited number of autographed copies of Jon’s books will be available for purchase after the event. If you cannot attend the event, but would like a personalized copy of his book, please call us before the event at (281) 497-8675. Joy Preble will sign and discuss the new collection, Who Done It? (Edited by Jon Scieszka, Soho Teen; $17.99). Jon Scieszka is a LibraryThing Author, an author who lists their personal library on LibraryThing. Jon Scieszka is currently considered a "single author." If one or more works are by a distinct, homonymous authors, go ahead and split the author. Jon Scieszka is composed of 30 names. You can examine and separate out names.